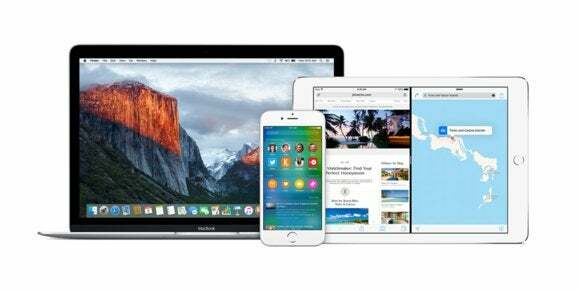 Every Apple operating system has a new developer beta available now, and iOS and OS X have new public betas out too. It’s a field day for beta testers, as Apple has released new developer betas for all of its operating systems—iOS 9.3, OS X 10.11.4, watchOS2.2, and tvOS 9.2. Participants in the public betas can get their hands on the betas for iOS and OS X. If you’re enrolled in the developer program, hit up the Developer Center. If you’re not a registered developer, but still want to test drive these new beta features, you can sign up for the Public Beta program. The public betas for iOS and OS X usually trail the developer beta releases by a few days. UPDATE February 23, 11:40 a.m. Pacific: iOS 9.3 and OS X 10.11.4 are now in public beta. According to 9to5Mac, the official versions of iOS 9.3 and OS X 10.11.14 are expected to launch around Apple’s March 15th event. Here’s a breakdown of all the new feature we got. The all-new, system-wide Night Shift mode will automatically adjust the display colors on your iPhone, iPad, or iPod touch. Once the mode is enabled, the colors will shift “to the warmer end of the spectrum” starting at sunset and revert back to normal in the morning. The main reason is get rid of the stark bright blue light that makes it difficult to go sleep at night. Other features in iOS 9.3 include setting a password or Touch ID to open the Notes app, and you can also set individual notes to be password-protected. For iPhone 6s and 6s Plus users, iOS 9.3 adds 3D Touch support for a few more Apple apps, including Settings. Deep press on the Settings app icon to launch a Quick Action shortcut to tinker with Battery, Bluetooth, and Wi-Fi. And finally, iOS 9.3 supports Wi-Fi Calling for Verizon customers, following AT&T and T-Mobile. In addition, iOS 9.3 also brings landscape support in the News app, HealthKit-enabled app suggestions in the Health app, PDF-syncing via iCloud for iBooks, better Apple Music and Maps integrations in CarPlay, as well as a few new education features for managing shared iPads in a classroom setting. This beta version of OS X El Capitan comes with support of Live Photos, the moving images that can be taken with the new iPhone 6s and 6s Plus. Prior to OS X 10.11.14, you could only view Live Photos on the Mac via the Photos app, and sharing was limited to iCloud Photo Sharing. In this developer beta, you can now view and send Live Photos via the Messages app on your Mac. Just like in iOS 9.3, OS X 10.11.4 also brings support for making the Notes app password-protected. And you will also be able to import data from other note-taking apps, including Evernote. The official OS X 10.11.14 update will also be accompanied by a new version of iTunes. This software update for Apple Watch gives the Maps app new features. With watchOS 2.2, you can launch the Maps app and have it instantly navigate to your given destination. You can also tap to find businesses with a “Nearby” feature powered by Yelp. Once your iPhone gets updated to iOS 9.3, you will be able to pair multiple Apple Watches. This watchOS update will be able to recognize which Watch is active at any given time and switch between the different devices. The software update for the fourth-generation Apple TV incorporates elements of iOS. With tvOS 9.2, you will be able to organize your apps into folders and switch between apps via a redesigned app switcher. You will also be able to talk to the Siri Remote to dictate into text fields to search for content or even spell out your usernames and passwords. Other features coming to along tvOS 9.2 include support for iCloud Photo Library, Bluetooth keyboards, and conference room mode.